The Black Ferns have announced a two-Test tour of France at the end of the year and will warm-up with an innovative Game of Three Halves in Tauranga next month against leading provincial sides. New Zealand will play France in Toulon and Grenoble in November, meaning they will play five Tests in 2018 including an already announced fixture against USA, as part of a triple header special at Chicago’s iconic Soldier Field. 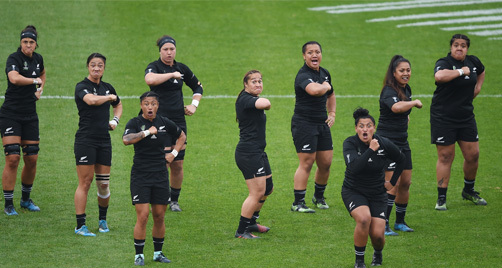 New Zealand Rugby (NZR) Chief Rugby Officer Nigel Cass said the two French Tests against the reigning Women's Six Nations champions were an exciting addition to the Black Ferns schedule in 2018. The Black Ferns preparation for a challenging international season begins with a Game of Three Halves against Bay of Plenty and Auckland on 11 August at Tauranga Domain, NZR announced today. The match will see the Black Ferns play the Bay of Plenty Volcanix for 40 minutes, followed by 40 minutes against Auckland Storm. The third 'half' will pit Bay of Plenty against Auckland ahead of their Farah Palmer Cup season. “The Game of Three Halves gives New Zealand fans and provincial players a unique experience. This is a great opportunity for two Farah Palmer Cup teams to have a hit out against the best players in the country. And for fans, it's a fun afternoon of footy. There’s no gate charge and everyone is welcome," Cass said. Next month the Black Ferns play Australia for the Laurie O’Reilly Memorial Trophy in two double header Test matches, with the All Blacks playing Australia for the Bledisloe Cup in Sydney and then Auckland. “We know how much it means to the Black Ferns to play in front of family and friends at home and for fans to watch them play, so the matches will be great occasions," Cass said. Meanwhile John Haggart has returned from his role as defence coach at French side Stade Francais to take up a position as Assistant Coach for the Black Ferns. Haggart was formerly International High Performance Manager for the Crusaders and Canterbury Rugby, and has also been Assistant Coach of Canterbury.